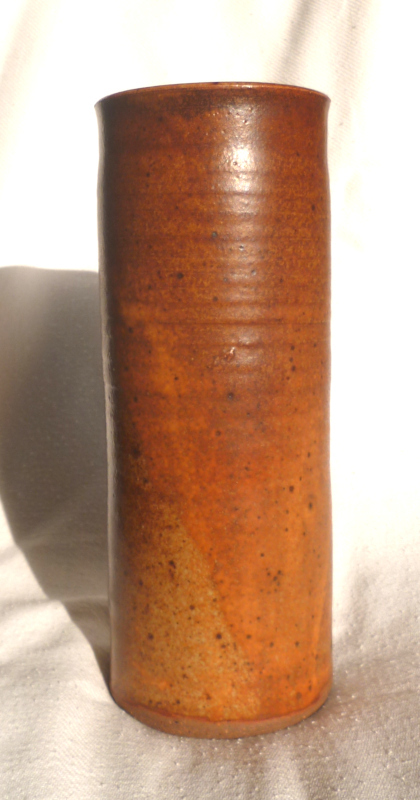 Stoneware cylinder vase possible mark G E Giles plus Tower mark? I bought this at a local french bootsale. I have not seen the tower mark before. The textual mark has been slightly obscured by some kind of smudging. The textual mark might read "G.E." then the smudge below that, obscuring the text below that ... which might be a J or G then a very feint i followed by a possible l then e then s ... or should I change my spectacles prescription?! It proudly stands 19cm high. 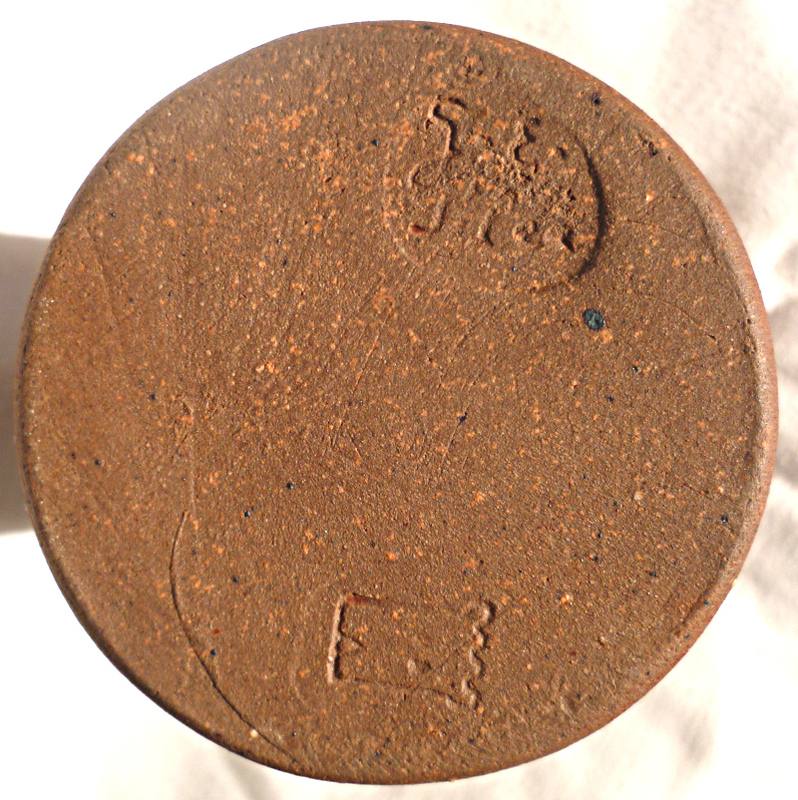 Re: Stoneware cylinder vase possible mark G E Giles plus Tower mark?